Great for a warm summer day, this mango whipped cream mousse-like dessert is made with simple ingredients and takes only a few minutes to make. Get that mango fix today! Put chopped mangoes, orange, and lemon juices, sugar, and salt in a blender. Process until mixture is smooth. 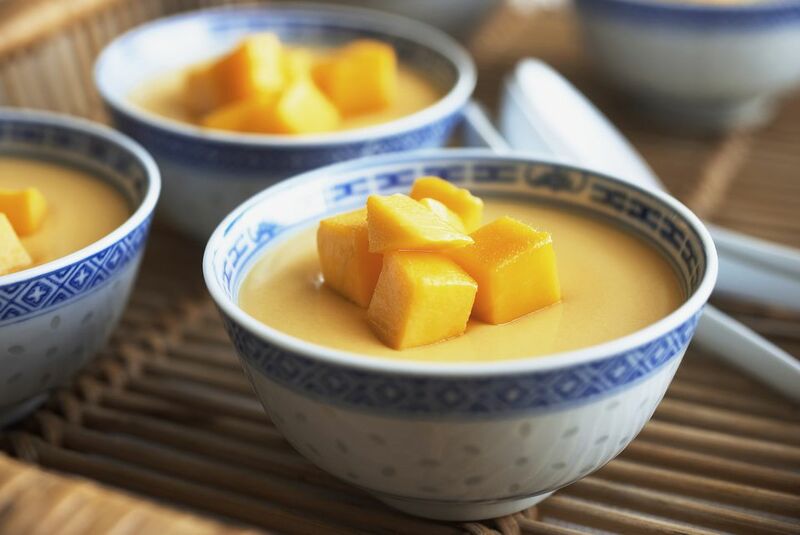 Fold mango puree mixture into the whipped cream and pour into individual serving dishes. Chill. Garnish with sliced mangoes and sprigs of mint, if desired.